Mrs. Jaba Mukhopadhya, a 57yr old women unable to walk because of Knee Osteoarthritis. 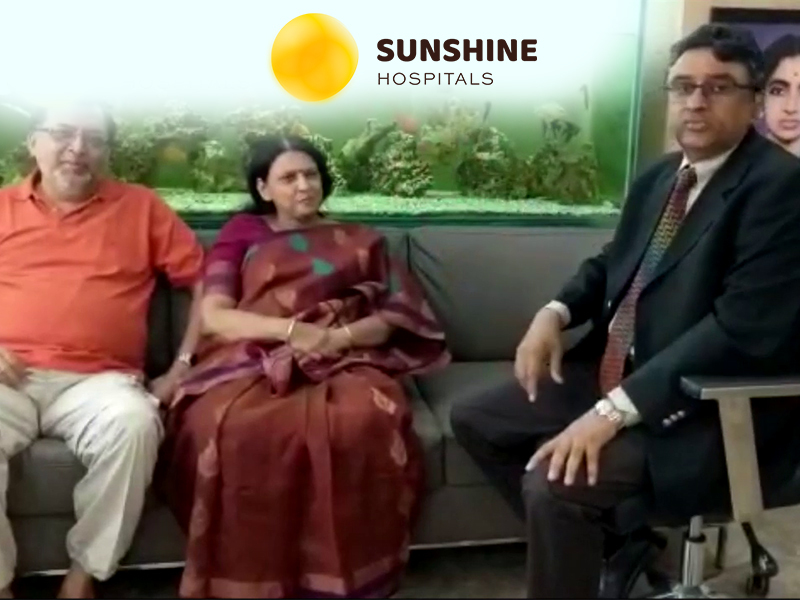 When she almost lost hope of walking like before, her son recommended to meet Dr. Adarsh, Consultant Orthopaedic & Joint Replacement Surgeon at Sunshine Hospitals. And all the way she came from Kolkata to Hyderabad. Dr. Adarsh & Dr. AV Gurava Reddy performed Unicondylar(partial) Knee Replacement on her both knees. The procedure was successful and she recovered just in a month. Owing to the good results, she is very happy and walking absolutely fine. Here is the post-operation walking video of the patient and talking about the treatment in her own words.